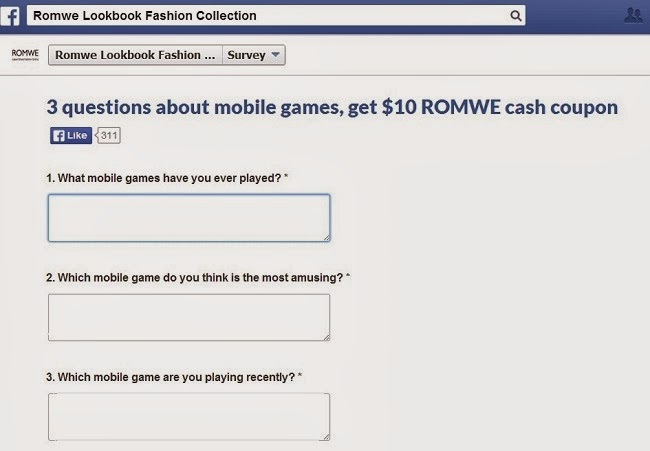 Answer those 3 simple questions about mobile gaming and get a free $10 cash coupon from ROMWE that you can spend any way you like without a minimum purchase necessary + free shipping worldwide! What can $10 get you? Some really cool accessories, make up, tights and super cool clothes on sale. and don't forget to answer the quick survey in this LINK to get your freebie. where can i find the cash coupon? was it sent to my email? thanks!